Harry Flashman - the unrepentant bully of Tom Brown’s schooldays, now with a Victoria Cross - has three main talents: horsemanship, facility with foreign languages, and fornication. 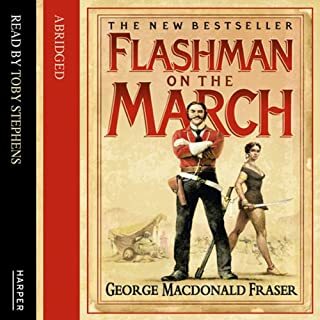 A reluctant military hero, Flashman plays a key part in most of the defining military campaigns of the 19th century, despite trying his utmost to escape them all. 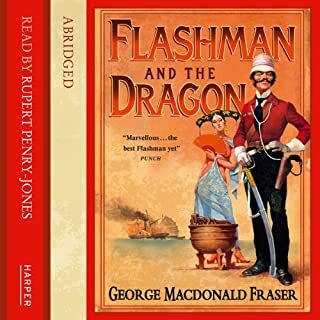 Expelled from Rugby for drunkenness, and none too welcome at home after seducing his father’s mistress, the young Flashman embarks on a military career with Lord Cardigan’s Hussars. In China, in 1860, a lot of people mistakenly put their trust in Flashman: the English vicar’s daughter with her cargo of opium; Lord Elgin in search of an intelligence chief; the Emperor’s ravishing concubine, seeking a champion in her struggles for power; and Szu-Zhan, the female bandit colossus, as practised in the arts of love as in the arts of war. They were not to know that behind his Victoria Cross, Harry Flashman was a base coward and a charlatan. They took him at face value. And he took them, for all he could, while China seethed through the bloodiest civil war in history. Many have marvelled at General Napier's daring 1868 expedition through the treacherous peaks and bottomless chasms of Abyssinia to rescue a small group of British citizens held captive by the mad tyrant Emperor Theodore. But the vital role of Sir Harry Flashman, V.C., in the success of this campaign has hitherto gone unrecorded. 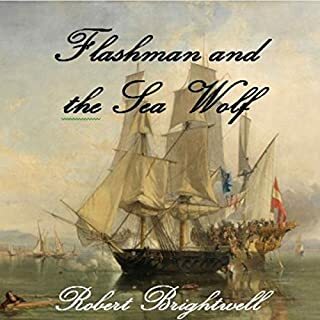 This book introduces Thomas Flashman, whose career covers the Napoleonic and Georgian era. 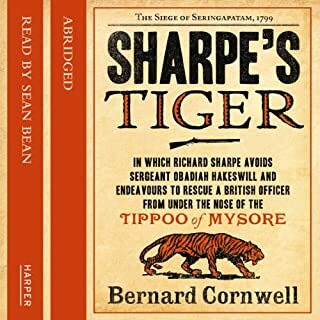 This first book covers his adventures with Thomas Cochrane, one of the most extraordinary naval commanders of all time. 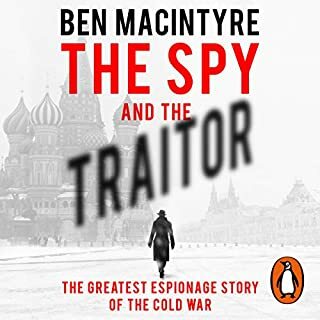 From the brothels and gambling dens of London, through political intrigues and espionage, the action moves to the Mediterranean and the real life character of Thomas Cochrane. I loved this yarn. Gripping and Tue!! 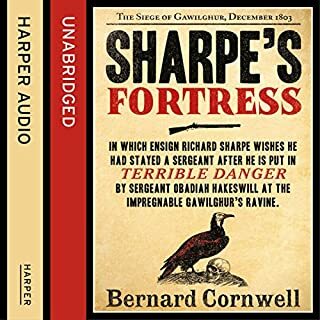 Ensign Richard Sharpe, newly made an officer, wishes he had stayed a sergeant after he is put in terrible danger by Sergeant Obadiah Hakeswill at the impregnable Gawilghur's ravine. To regain his confidence and his authority, Sharpe will fight as he has never fought before. Sean Bean reads this wonderfully. From London gaming halls and English hunting fields to European dungeons and throne rooms, he is involved in a desperate succession of escapes, disguises, amours, and (when he cannot avoid them) hand-to-hand combats. All the while the destiny of a continent rests on his broad and failing shoulders. The story of a character so bad doing so well is somehow so much fun. Flashman is a cynical, cowardice, racist bully - the kind of man who we secretly do not hate entirely because we are not sure how to convincingly hold the position of total lack of admiration for such men. To his credit, he is a most talented polyglot, horseman, and womaniser, and his adventures in the midst of major macro political events of the 19th century takes the reader laughing though history's I'll-lit side-allies. There, the story's anti-hero upholds the British empire by running from its enemies, sleeping with the maximum possible amount of women, and more often than not manages to wriggle himself out of the absurd kinds of trouble he repeatedly finds himself in. Hilariously written. Excellent stuff. Fantastic story that races along paralleling Anthony Hope's famous novel. The narrator is absolutely perfect! What made the experience of listening to Royal Flash the most enjoyable? 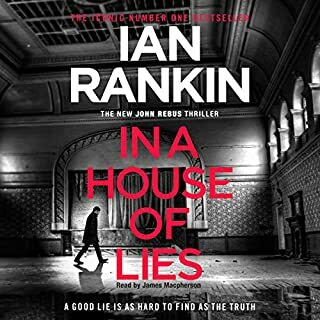 The narrator is good but I wish they would use a female voice for the female parts as it all sounds a bit pantomime with a bloke reading female responses. Continues along the Flashman route,you can't get better. What does Colin Mace bring to the story that you wouldn’t experience if you had only read the book? He is very good and keeps the momentum going. 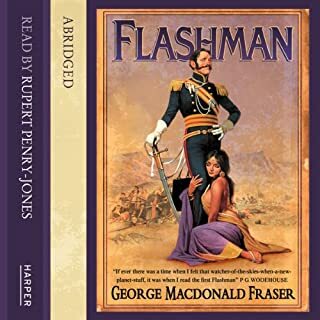 I read all of the Flashman books many years ago and loved them, Flashman is described in the books as big and bluff and hearty, so with that image in mind, why choose this reader? He reads perfectly well, but not in a way suitable for this character at all. I had to stop listening as it just ruined it all for me. Maybe if I didn't already know the books and have my own version of the character's 'voice' in mind, it wouldn't matter, but I am so disappointed with it that I can't listen to any more. If they were read by someone suitable, I'd order them all. 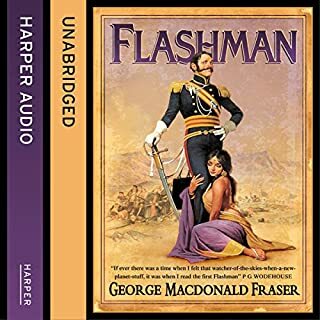 Elaborating on my criticism of the first Flashman in this audio series, I'm so disappointed with the narration that I won't continue with the rest. I enjoy revisiting books that I love; having them read to you by a skilled actor on a second visit can enrich the text, bringing out nuances in character and other elements which make the re-read well worthwhile. A great example of this is the Aubrey-Maturin &quot;Master &amp; Commander&quot; series. 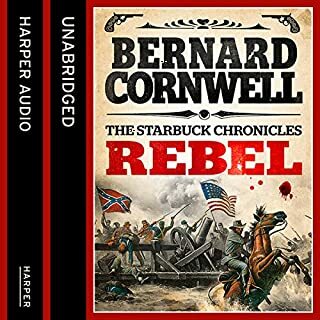 I loved the books the first time and then felt like I'd doubled the enjoyment by listening to Ric Jerrom's take on the characters. I was so looking forward to seeing what a narrator could do with Flashy. One of literature's great comic creations deserved something special and Coin Mace has done nothing to bring this off. 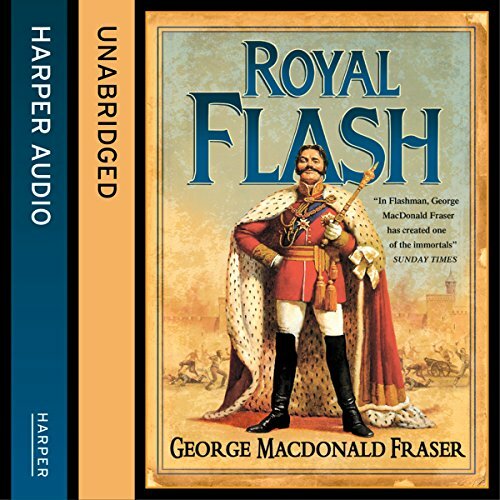 If you had never read the Flashman novels then you might get through these recordings having enjoyed the stories as they were. If it comes to the words alone, then Macdonald Fraser's books are an absolute delight. But if this is your second time around and, like me, you were hoping for something special, then you will be severely disappointed. Mace's delivery adds nothing, and in many ways detracts from the story. He reads like someone who has never seen the words before. Intonation and rhythm is repetitive and inappropriate. Time and time again he misses great comic lines and sounds like someone reading a text for the first time with no rehearsal. Harry Flashman deserves more. He is a character whose words paint a picture of a historical past, but also of a spineless rogue. The books are his words and they needed, not only an actor who could live up to this challenge, but one who could add to it too. I'm not going to listen to any more of this series because it irritates me so much. It irritates me that Flashy hasn't been brought off the page in a way that I know other characters have been. But the narration actually grates. Sentence stress and intonation in this recording is indicative of someone who is taking no interest in what he is saying and instead attempting to enliven it by randomly dramatising parts which don't need it and passing over parts which do. Huge opportunity missed. What a shame. Brilliant story. 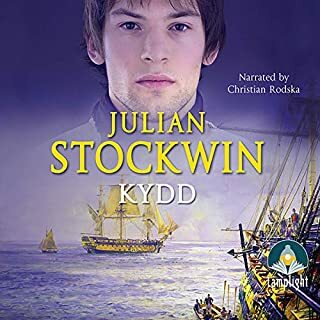 Narrator not bad, but not in Timothy West's league. Still enjoyed it though. Very refreshingly un-pc, and bloody funny! There is nothing to compare these books to, they stand alone in all their splendid glory! A bigger bigot, racist, cheat and charming coward will not be found. And yet, you can't help but root for him. Will probably be enjoyed by the English listener more than most! Flashes blood may be blue but his liver's yellow! 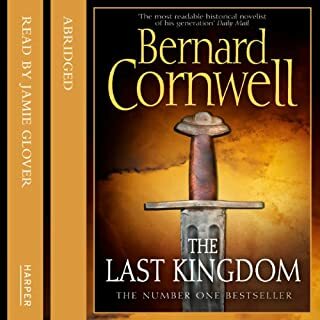 Narrators voice leant itself perfectly to the ambiance of the story. The story certainly has elements of 'the prisoner of zenda' but with uniquely rogue flashy twists! In Royal Flash we see old Flashy in all his guises. Coward, scoundrel, lover and cheat. He uses his wits and skill to out of all manner of sticky situations. Well researched and full of detail, the mixture of history, humour and adventure makes for a great read. The diary of an unscrupulous cad....hilarious! Being in the forces myself, I can very much identify with the drunken debauchery and cowardly antics of the cad and boulder that is Lt Harry Flashman and the way that somehow, through his keen instinct for self preservation, he always evades danger of death and emerges victorious, decorated as a hero. The book is written in the style of a true biography based upon Flashman’s journals. He really is just so wrong and un-politically correct by both past and present standards than one can’t help but to laugh, even when his actions are despicable.